XP Ministries GO TEAM is all about taking the extreme Love of Jesus to extreme places – including the airwaves! But we cannot do it alone. We warmly invite you to join GO TEAM with us as we labour together for His glory in Missions, Media and Mobilisation – on the airwaves and the harvest fields of the earth. The family is growing and we would love you to be part of us! The rewards are eternally rich! In a powerful visitation of the Lord in June 2004, God promised XP Ministries (Christian Services Association) financial partners who would serve to advance His Kingdom purposes. He clearly revealed that His “breaker anointing” would operate through these individuals and their gifts in order to open the airwaves for His righteousness. He also promised that each of these select “ground breakers” would receive an increased anointing for breakthrough in their personal lives for helping claim ground for Him on the airwaves and the harvest fields. You can never out give the Lord. In the measure we release to Him, it is returned many times over. The presence of the Lord came so powerfully on our team when this visitation came, and immediately that very day, partners and donations began to be released. Many have told us that since partnering with XP Ministries, answers to their prayers have accelerated and personal breakthroughs have come. This team is called THE GO TEAM. This GO Team and their gifts have sent many labourers to the harvest field, financially covered expenses for the production of over 100 television programs and web segments, covered the expenses of launching this media web site, have funded the poor and the orphans, and much more! They are an integral part of our ministry family and we love them very much. Every day we pray for the Lord to keep them in His love and grace. The masses are in need of a strong, clear, prophetic, voice from the Lord that heralds His love and truth. Patricia King Everlasting Love Television Show is reaching out through the air waves on both secular and Christian networks. Will you please pray about joining us on this project as a financial partner. We cannot do it alone! We are looking for Partners who will join our team with financial commitments every month. Is God calling you? When you partner with XP Ministries, you will share in an increase of prophetic and harvesting anointing. This is a Bible principle. If you sow into a field of corn, you will reap corn. If you sow into prophetic ministry, you will reap of the prophetic anointing. XPmedia is rich in prophetic and harvesting anointing. Daily prayer coverage by our XP Ministries team – Every day Patricia, as well as a team of intercessors prays over the list of Partners. Favor, health, financial blessings, protection, spiritual growth and enhancement are some of the things that will be prayed and decreed over your life. An Initial gift – Patricia King and the XP Ministries team will welcome you to the team with a valuable Partner packet which includes a DVD with a message from Patricia as well as Patricia’s New Creation CD of her personal testimony. 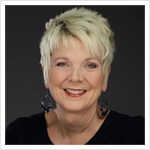 Monthly updates from Patricia King – Every month, you will receive a special note from Patricia King. In her personal notes to the Partners, she will include a prophetic encouragement. Reduced rate to our conferences – We host many conferences and as a Breaker Team Partner, you will receive reduced registration fees as well as early-bird seating (for specific conferences). It really makes a difference to all we do! We are a charity and we rely on donations to enable us to do all God asks us to do. We can reach hearts and lives with the love of Jesus around the world. We have made an investment with you in mind – please pray about partnering with us or donating to help us continue to serve you with cutting-edge prophetic media! Please click here to watch all Patricia King TV programs online at your convenience. “Thank you for teaching us, we have learned that our life style needs to be so closely knit with Jesus, to have a great compassion for the lost, to be led by the Holy Spirit, we need to have ears that always listen, our motives to be pure, to believe that the Holy Spirit speaks through us and we receive by faith. The story from John 4 taught us not to condemn, not to judge but to be like Jesus and give love and compassion, to do this we need to receive words as Jesus did from His Father. You taught us to be real and that the anointing for power comes through holiness which comes by repentance and love.